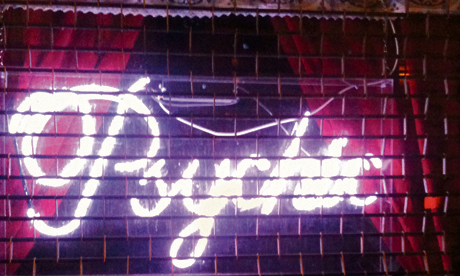 Revellers vs residents – boom time or bust for Dalston’s nightlife? Some would argue the death knell for Dalston was sounded in 2009 when Vogue Italia proclaimed it one of coolest places on earth. Everyone seemed to want a slice of the Dalston effect with canny landlords profiteering from monumental rent hikes whilst new clubs, bars and restaurants popped up from nowhere on what seemed like a daily basis. This rapid swelling of the night time economy in Dalston has, according to some residents, reached saturation point. Ursula Hughes, Secretary of the Rio Cross Residents Group, said: “When new jazz and modern music venues started to open we welcomed them at first, but around 2009, the friendly balance between residents, the local creative community, the day time economy and the night time economy started to go horribly wrong. “Local residents think the number of licensed premises in the area has reached saturation point and that some, but not all, of them are badly managed. It now appears that Hackney Council is poised to act after the Scrutiny Commission on the Night Time Economy published its final report in February, with a formal response from the Cabinet expected soon. The Commission made eight recommendations, which include introducing a Special Policy Area in Dalston, improving the accessibility of licensing information and the enforcement of existing licence conditions, as well as ensuring licence holders contribute towards the cost of mitigating negative impacts, and making the management of the night time economy more transparent and accountable. Lylall Hakaraia, co-owner of Dalston venue Vogue Fabrics said: “It’s up to the council to stop [anti-social behaviour] happening and for the residents to kick up a stink. “As far as the policy is concerned any engagement with the community is a good thing as it means people have to stand up and be counted. He added: “Dalston needs to get a grip as it will lose the magic it has to a bunch of mediocre suits that just want to make a fast buck. “The diversity that once was celebrated here will disappear before our eyes and be replaced with a universal blandness that is found in most parts of England already. In February there was a visible flourish of activity from Hackney police with Operation Falcon targeting crimes relating to the night time economy such as the licensing of venues, anti-social behaviour, the under-age selling of alcohol and theft. Inspector Ian Simpkins from Hackney’s Licensing/Night Time Economy Team, said: “Operation Falcon has seen some excellent results involving various partner agencies. “Licensing impacts on our everyday life, in our shops and supermarkets. This means alcohol should not be sold to young people, and in our pubs and clubs it means alcohol is sold and consumed in a responsible way. “We also remain determined to pursue and arrest perpetrators who prey on those who use the night time economy, who would steal from others, supply harmful drugs or would do them physical harm. The crackdown from the council and the police is not without its critics and some local businesses have seemingly been penalised by the new hard line. In Stoke Newington, Efes Pool Club and Bar has had its licence revoked whilst Tipsy Bar lost its appeal against the council’s refusal to grant an extension of its basement licence to the ground floor. Stuart Glen from Tipsy Bar said: “It feels like we are being made an example of, they are putting barrier after barrier after barrier up to try and make it look like they are tackling the problem. He added: “We have come at a slightly bad time and the pressure has hit us hard, people are speaking out vocally, putting pressure on the council. Regarding the apparent saturation problem Mr Glen believes it is not as bad as they say: “Dalston is not the same as it was five or ten years ago,” he said. “People would feel intimidated walking down Kingsland Road, now they don’t feel intimidated, it’s much safer. “The people who go out in Dalston are not a bad crowd, they’re not violent, they like to party and they like to have fun but they are generally a creative, intelligent group of people who can hold a good conversation.